I like the voice for Spider-Man, but I really hope that’s not what the suit looks like in theaters. To add an additional thought: Why go retro on Spidey’s costume when all the other costumes have been “updated” to a more modern look? To add an additional additional thought: I think it’s ho bright the colors are. Cap and Iron Man both have muted colors compared to the comics. Here’s a pretty decent/large still which makes me think I might be able to deal with the blue, but the red is just too bright. Spidey is new to this universe. He might be wearing a teen-made low-budget costume. They had Sony create two reasonably modern spidey suits and they resort to a crayon coloured CGI one. Please tell me it isn’t so. 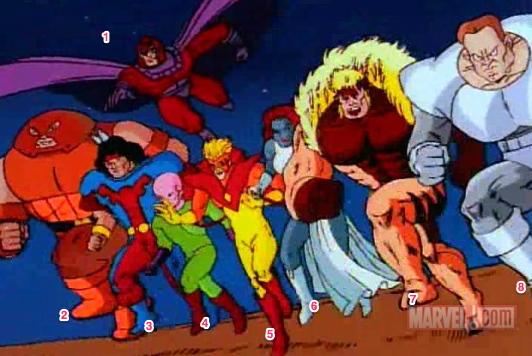 That final head into rumble scene from the trailer looks reminiscent of the opening titles of the 90’s X-Men. I hate trailers, but since I’ve been subjected to a whole bunch of ones for this movie I figured what the hell. 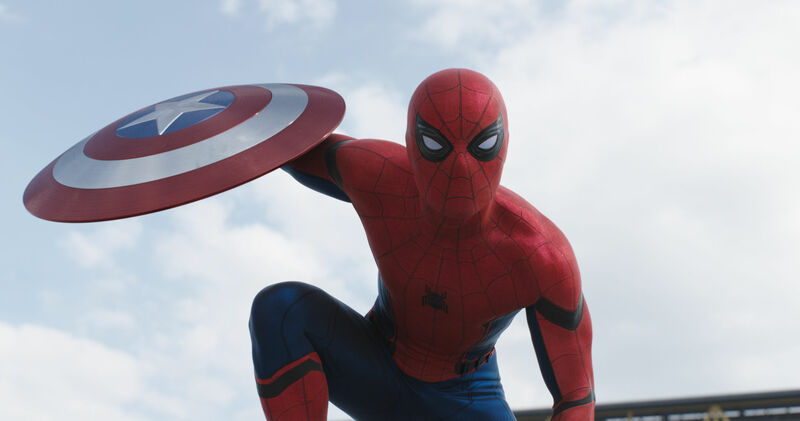 I figured Spider-Man would be on Captain America’s side. Although they’re not adapting the comic storyline directly, I suspect they’re following it with reference to Spider-man. He’s the guy who starts out on Stark’s side and then changes to Cap’s. I’m thinking the exact same thing happens in the movie. That makes sense. I can see a (very young, impressionable and, well, poor) Peter Parker being dazzled by being asked to be included in something that big, but then realising what it all means.